Professor Rodney Keenan and MFES graduate Mr Jesse Mahoney represented SEFS at the event. The Institute of Foresters of Australia (IFA) hosted the roundtable on forestry in the World Heritage Daintree Rainforest in early April. 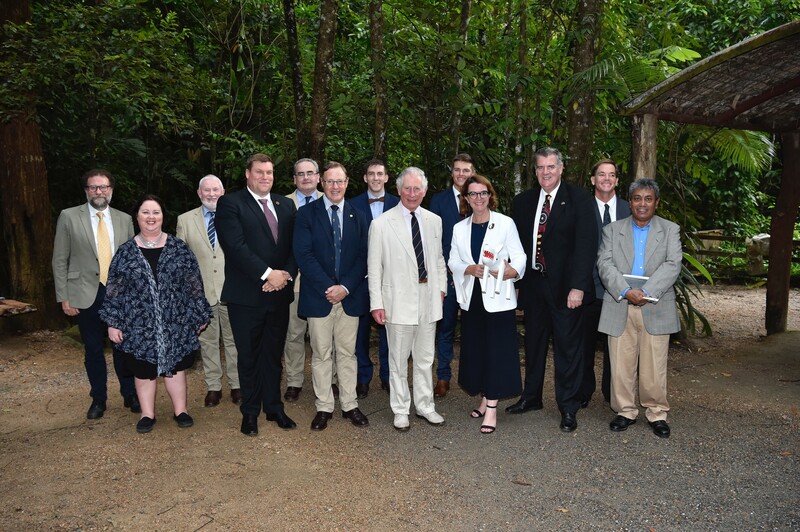 In addition to Professor Keenan and Mr Mahoney, His Royal Highness was joined by Senator the Hon Anne Ruston Assistant Minister for Agriculture and Queensland Minister for Agricultural Industry Development and Fisheries the Hon Mark Furner MP. His Royal Highness has a well-known passion for forests and the natural world. In recent years, he has provided support to the professional forestry institutes in Australia and New Zealand and, prior to that, in Canada and United Kingdom. He has also supports The Prince of Wales Sustainable Forestry Award received by Mr Mahoney, who completed his Master of Forest Ecosystem Science in 2015. Professor Keenan's key messages for the roundtable include the need for more wood in the world, the limited capacity to expand traditional large-scale timber production models, and that the future of forestry lies in better integrating trees with agriculture and designing timber production to meet biodiversity conservation objectives in native forests.